By making the most of its geographical location and China’s opening-up policies, Hunchun has become a major hub for fresh seafood imports from Russia, as local appetites for top-quality products continue to grow. 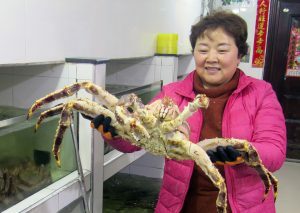 “Little do people know that 90 percent of the king crabs sold in China pass through Hunchun after being imported from Russia,” said Lang Hui, deputy director of economic cooperation for the Hunchun International Cooperation Demonstration Zone. Many people are surprised to hear Hunchun is a hub for seafood distribution because it has no seaport, but they soon see the reason why after learning about its location in Jilin province, he said. Hunchun, which borders Russia and the Democratic People’s Republic of Korea, is 63 kilometers from the Port of Zarubino in Russia’s Far East. The port has become a short cut for importing unpolluted, deep-sea marine products from the Kamchatka Peninsula. That year, Hunchun could process only 1,000 metric tons of marine products, but in 2017 that had increased to 200,000 tons, with 116 companies specializing in seafood imports. However, companies importing DPRK products, such as squid, have been greatly affected by the UN sanctions imposed on Pyongyang last year in the wake of the country’s missile test. To cushion the blow, companies have shifted focus to Russia. According to the Hunchun government, in the first eight months of this year, the trade volume of king crabs imported from Russia increased more than threefold year-on-year. 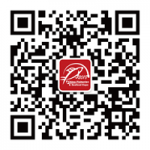 Importing seafood from Zarubino is much faster than using Dalian Port, the largest multipurpose port in Liaoning province and a traditional point of entry for Russian marine products, according to Zhao Kuizheng, manager of Hunchun Xinhe Aquatic Products and International Trade. “When we first set up a processing factory here in 2013, few of our international partners had heard of Hunchun. 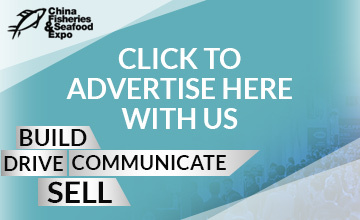 Now the city is a well-known name in seafood trade,” he said, adding that his company plans to expand its facility next year.